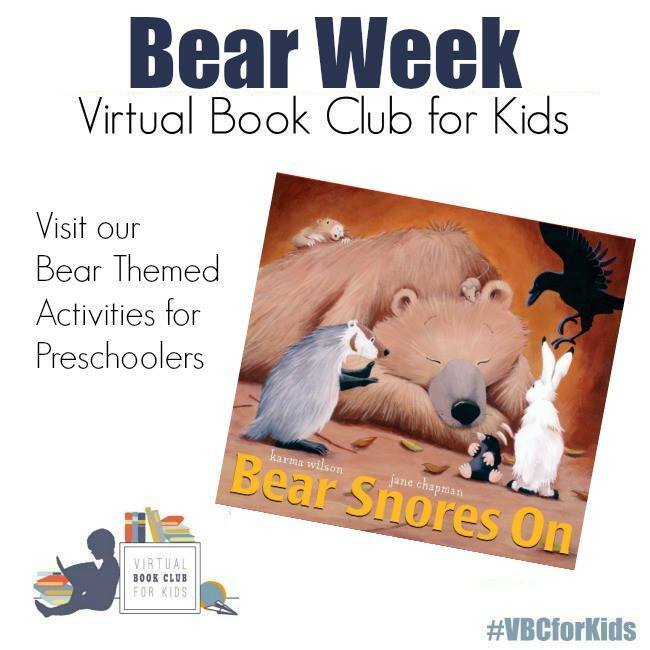 We’re heading out to the woods to learn about bears for our virtual book club activity! 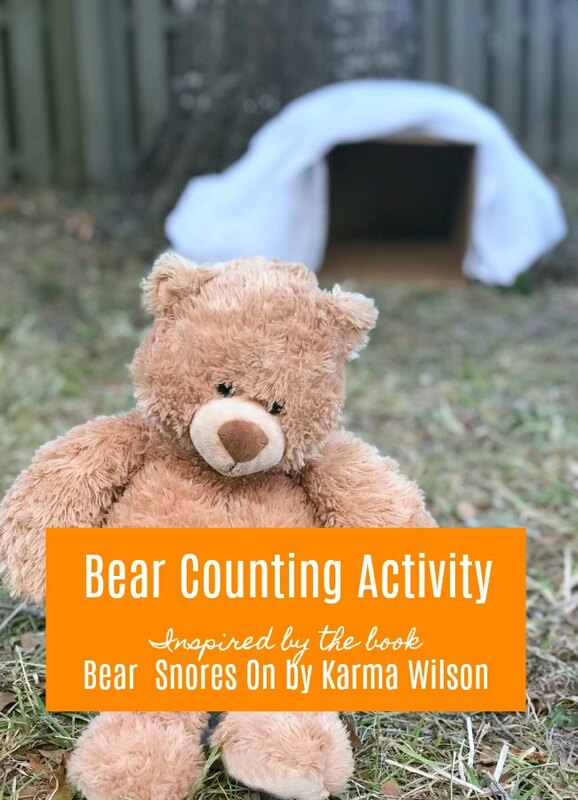 Explore numbers with this bear counting activity inspired by our featured book Bear Snores On by Karma Wilson. This bear series is a favorite in our house and is sure to become a favorite in yours too. Here’s how to play this bear counting activity! Disclosure: This post contains Amazon Affiliate links designed to provide a means for sites to earn advertising fees by advertising and linking to Amazon.com. There’s something quite special when young child learn about how bears hibernate in the winter. During our recent trip to the Rocky Mountain National Park it made us feel a bit more comfortable in our cabin as well knowing they would most likely be less active on the campgrounds on in the hiking trails. One of my favorite bear series is my Karma Wilson and this week we’re featuring the story Bear Snores On. 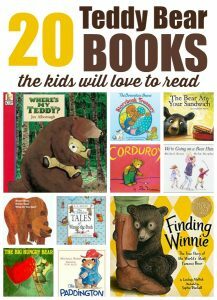 Here are some of my favorite Bear Books for Preschoolers! In the story Bear’s cave fills with animal friends as he sleeps. One by one, a many forest animals find their way out of the cold and into Bear’s cave to warm up. But even after the tea has been brewed and the corn has been popped, Bear just snores on! It’s quite adorable to see what happens when he finally wakes up and finds his cave full of uninvited guests—all of them having a party without him! 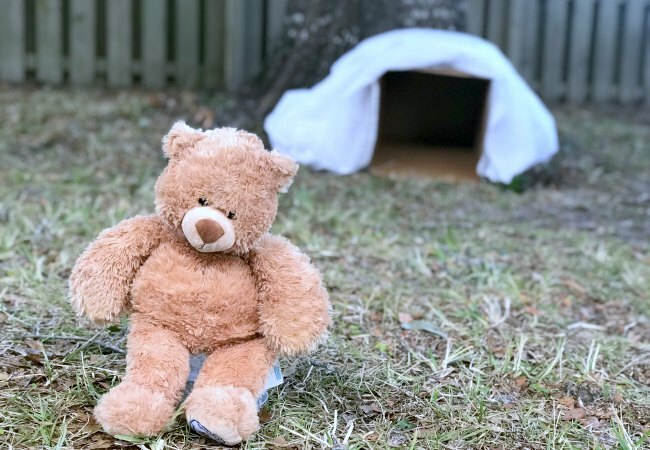 Have fun with bears this winter by creating number bear dens and bears. You can also play this Printable Hide and Seek Bear Number Game with your preschooler! 1. Read the story Bear Snores On by Karma Wilson with your child. 2. Gather up your favorite Teddy Bear and a few of your stuffed animal friends that live in the forest. Inspired by some of the characters in the Book Bear Snores On like mouse, hair, mole, wren, raven, or badger. If you don’t have these Characters from Bear Snores On you could also print them out. The website 3 Dinosaurs have a fun free Printable Unit for Bear Snores On. 3. 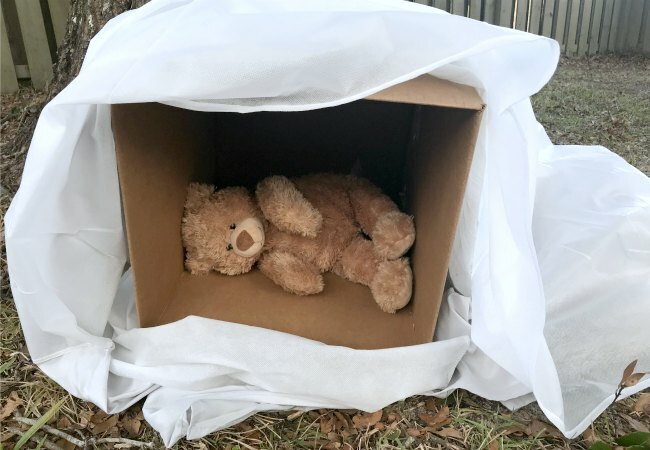 Using your recycled box create a bear’s den. 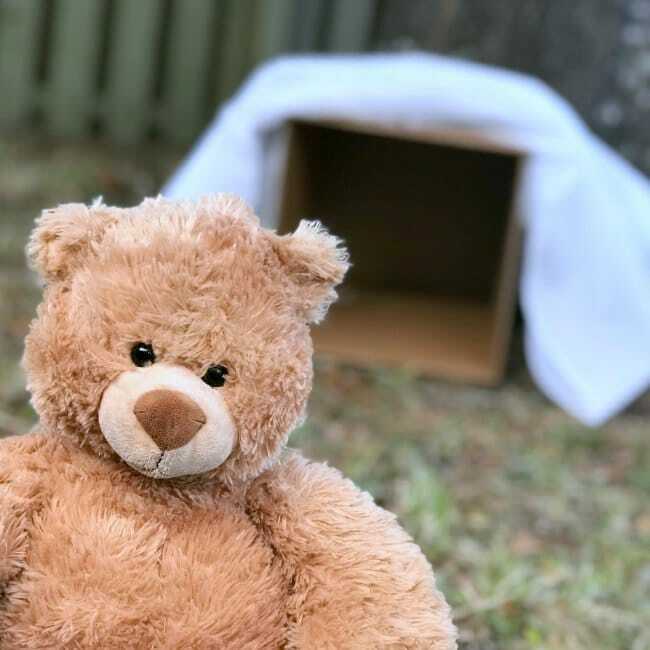 You could gather a few pieces of cut construction paper to create a soft place for the bear to rest during the winter. 4. Write out on a sheet of paper numbers 0 to 10 and then cut apart to make numbers to make the amount of animals that are in the bears den at one time. 5. 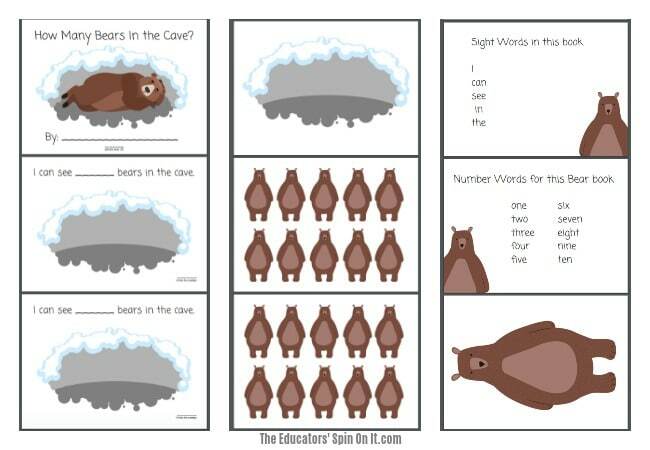 Retell the story and add the correct number for each time one of bear’s friends joins the fun in his bear den. 6. Once your child has played the game a few times you can encourage them to create their very own Printable Bear Counting Activity Book. It’s available to Download and Print below as your child uses the printable easy reader book to begin learning their sight words and number words. Print now for just $1.99. We had some fun learning about bears and the different stages of bear hibernation activity. We had fun looking at a few webcams of bear dens. We also learned that most bear cubs are born during January. So we took at peek at a webcam of bear cubs in bear den. They are so tiny when they are born. Here’s a typical year’s schedule for bears in case your little one begins to want to learn more about bears too! Here’s a Read aloud of the book Bear Snores On by the talented author herself Karma Wilson. On Facebook we also have a creative group where we share the Weekly Themes and Activities and connect with other parents, educators and caregivers to go along with the week’s theme further. Come and join us over there and see what we’re doing this week! 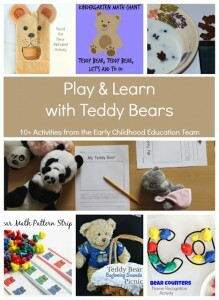 Here’s a few of my favorite Bear Activities with Kids that will go perfectly with this Bear Theme! Click on the image to check them out. 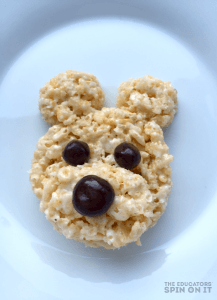 The Bear Rice Krispie Treat is adorable!!! Printable Bear Counting Activity – YOU ARE HERE!